angry greeting from the superstar when they met up inside the venue. rapper to which the MC responded. Shortly the two were involved in an altercation in which security had to be involved. 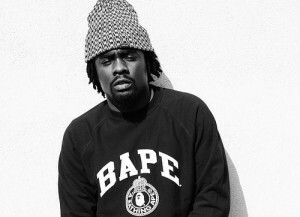 According to journalist, Jawn Murray, Wale confronted the adversary and took it to a physical level. Wale said implied that he simply asked the man a question. “50 Best Rap Albums” for the magazine and website. Serani talks Who’s Next + Jamaican music scene!